commemorative coupon for the opening our website! The Brug Bakery website has opened. smart phone photo of the coupon. 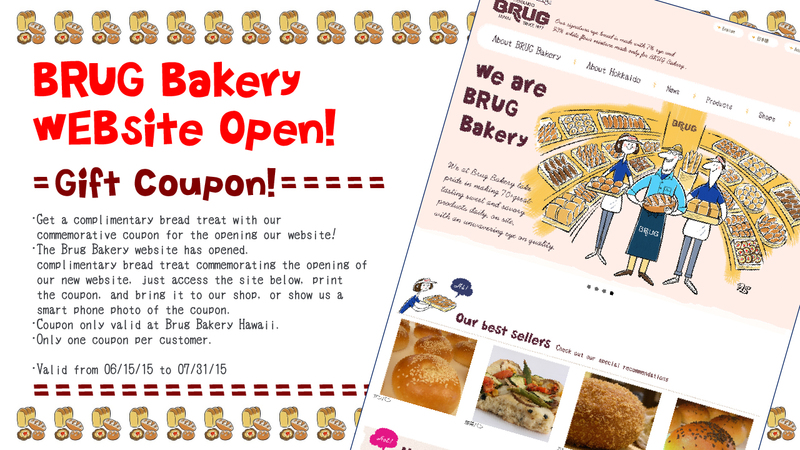 Coupon only valid at Brug Bakery Hawaii.